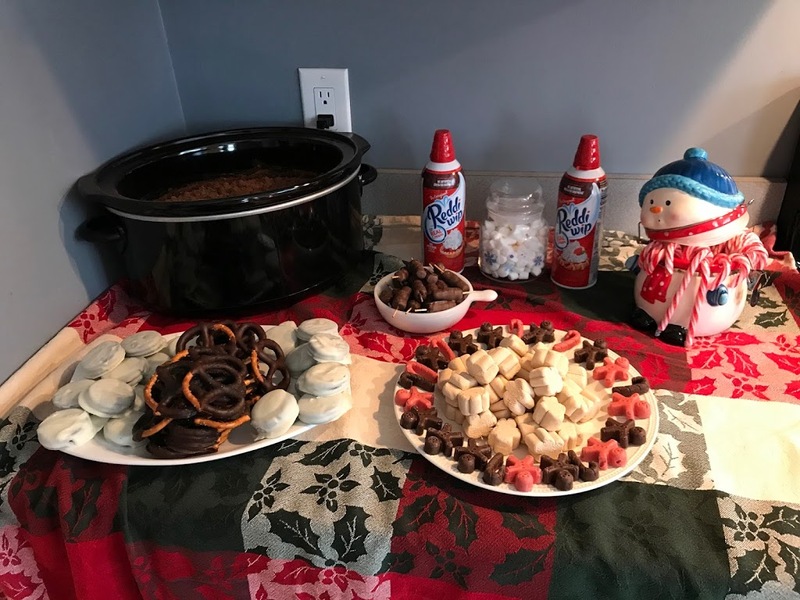 Great for holiday parties. Start the hot chocolate in the morning and enjoy the sweet smell all day. One less thing to worry about when putting dessert out because it is all ready to go. Perfect for a crowd. 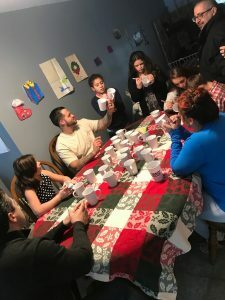 Fun for adults and kids. Everyone gets to add, garnish and top with whatever they want! We all had a great time decorating and designing our own cups! The best part about this is that you can decide how big or small you want to go. I made a bunch of stuff to go with my bar but you can totally buy all the accessories and make life that much easier. 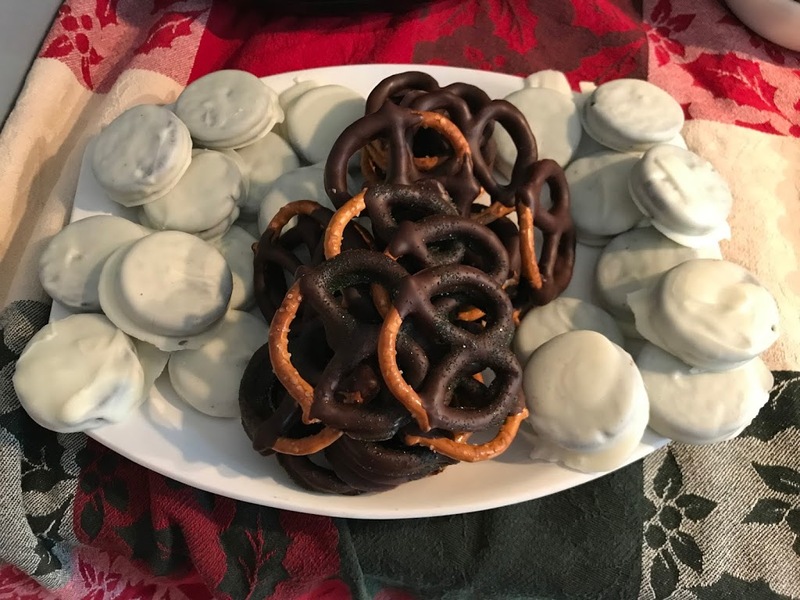 Homemade chocolate covered pretzels and Oreos. 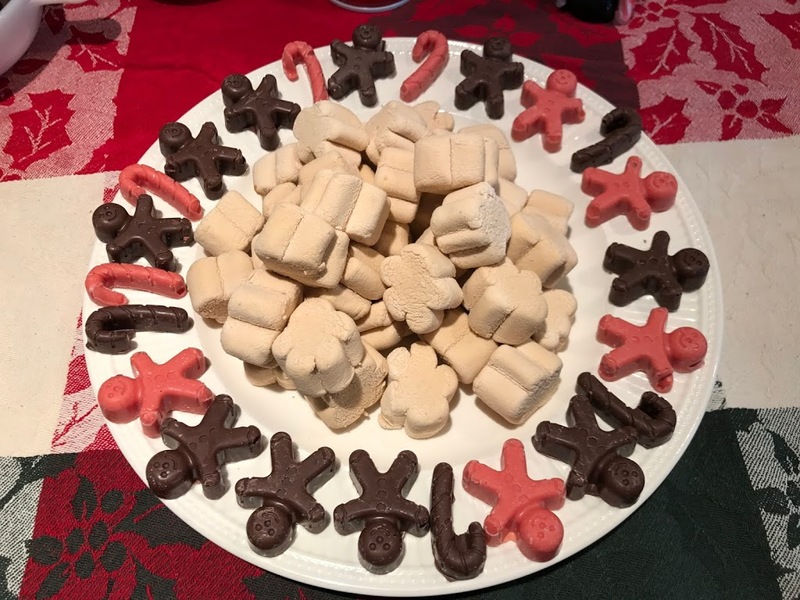 The middle has gingerbread flavored marshmallows. 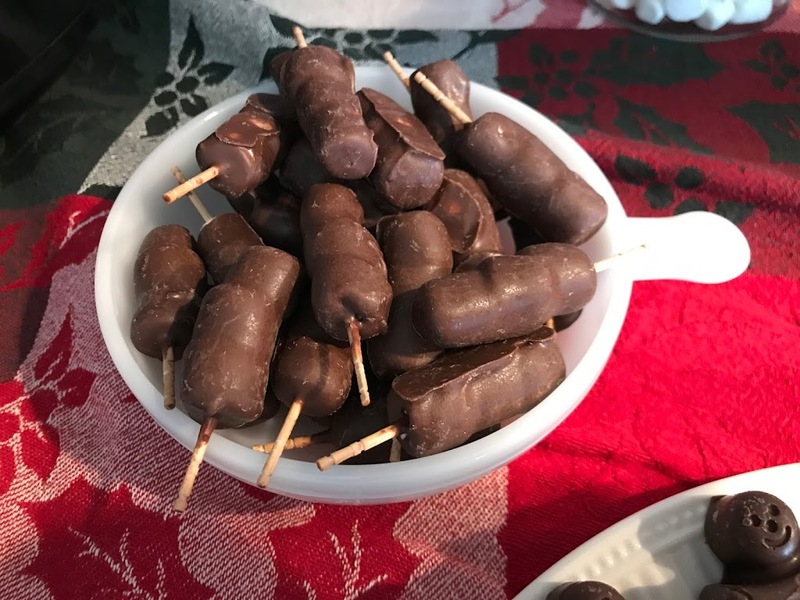 Chocolate covered mini marshmallows on a stick! 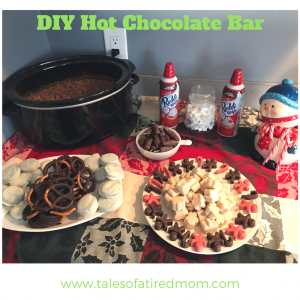 Hot chocolate bar was a great success! YUM!